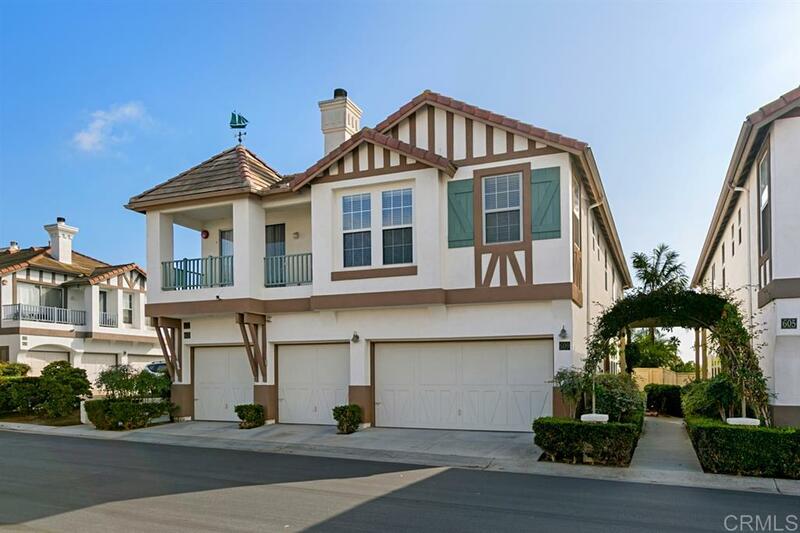 Stunning 3 bedroom townhome with gorgeous ocean views from upstairs and down. Breathtaking sunsets. Very desirable location. Just like a detached home with no one above or below you. Beautifully updated throughout. Open kitchen and living area with private backyard/patio retreat. Gorgeous M. bedroom with breathtaking view balcony, walk-in closet. 2 car garage. Central A/C. Cozy fireplace. All designer furnishings included. Walk to beach, restaurants, shops, train station, YMCA and the best School district, This townhome is located in the best location, with the best ocean views from first and second story. All the designer furniture is included in the sale. Walk to Moonlight Beach, train station and the gorgeous YMCA that has a Child daycare while you do your workout. The salt water pool is like swimming in the ocean. Everything is at your fingertips!